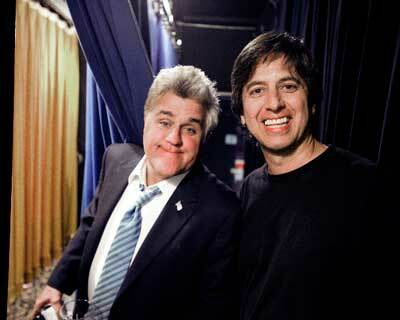 This week I had the chance to ask Ray Romano 5 Questions. His new critically acclaimed show Men of a Certain Age airs Monday nights on TBS at 10:00 pm. He is performing at The Comedy & Magic Club on Wednesday, February 17th to benefit Big Joe's fight against cancer. Andrew: What is the biggest challenge comparing Men of a Certain Age to Everybody Love Raymond? Ray: While we're still doing things that are at times comedic, there is no live audience to feed off of. You have to trust that it was funny when you wrote it and that it'll be funny when the audience watches it, but there's no laughter there to confirm that. It's a little scary. Andrew: Is being a father getting easier as your children age? Ray: Yes and no. It's easier for the fact that you don't have to feed them and change them and wake up in the middle of the night, but it's harder because now you have to worry about them getting arrested. Andrew: What is the secret to a happy marriage? Ray: Never stop thinking that underneath it all you're still a nerd. Andrew: When you have an idea for a bit, do your take that premise on stage with you or do you write out the whole joke first and then deliver it? Ray: I vaguely write it out in my head, but when I perform it I always add more to it then I've originally thought of. Andrew: Do you enjoy performing at The Comedy & Magic Club as opposed to much larger theaters? 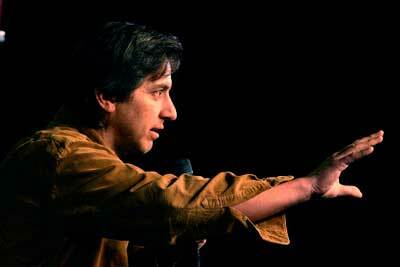 Ray: The Comedy & Magic Club is one of my favorite places to perform, more-so than any theater. It's big enough to feel the energy of a big audience, but also intimate enough to find a whole different comfortable rhythm than you can get in a theater. Best club around. Foods pretty good too and the bathrooms are clean. That's important to a germ-a-phobe like me.